I've finally found a way to stabilize framerate and stutter. After much trial and tests i've finally stabilize my framerate and massively toned down the unity engine stutters. I've read so many complaints in this forum and steam regarding the horrendous framerate and also stutters i've decided to share my tweak and hopefully yours will work as smooth as mine. No guarantees. Here if you have a powerful card you'll want to limit your frame to 60 or if you have a budget card i suggest 30 via Rivatuner. 1. 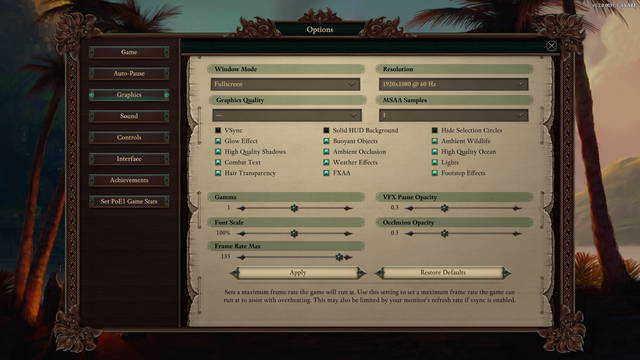 Go to your Nvidia control panel, under manage 3D, choose POE 2. 3. Move to Anti Aliasing - Mode and select override. 4. Then AA - Transparency to 2x. Step 2 to 4 will ensure subtle eye candy while keeping performance in check. 5. Move to Triple Buffering and choose ON. 6. Below it, V-Sync, set it to ON as well. Do not use Adaptive or Fast. 7. Open RivaTuner, add POE2 to the list and limit your frame to either 30 or 60. 8. Launch the game, go to option and graphic, Enable Fullscreen, AA set to 1 and Uncheck V-sync. You can tweak the rest of the option to your likings depends on how powerful your GPU is. FYI im using GTX 1070 i have those settings up plus Shadow, Misc, and the 2 Ambients ticked and my game now runs at a stable 60 fps and minimal stutters. Note that Neketaka will still give your framerates hell so that cant be avoided. Oh btw im using the newest nvidia driver 397.93. I apologize to AMD gpu owners as i have no clue how to set those in the Crimson Control panel you'll have to search for those options yourself. Hopefully you guys can get the performance that i've gotten as well. Ac? Btw installing the game to an SSD will help improve stutter by a huge margin abd also remember to turn off Telemetry ( uncheck the box ) under Options too. Thanks for this. I will definitely give this a try lter when Im home because fps has been my doom in this game so far woth a Gtx1070 as well. Many many many Thnks, your setting really improved my performance with 1.1. What kind of sorcery is this? It actually made the game look and run much better. Stutter started for me on patch 1.1 although it might have something to do with Unity console. I will test these settings. I have an M2 960 EVO SSD with 10x the performance of a normal ssd and the game still has a lot of stutter. Something I didn't have before 1.1. Edit: tried settings and although it did help with performance it also broke my visuals. Got screen tearing, artifacts and screen flickering. Makes the game unplayable. Edited by AeonsLegend, 17 June 2018 - 05:07 AM. It may have something to do with the differences in hardware. No matter, I have the default settings without the tweaks in this topic and the game runs smooth as well and that is all I wanted. Edited by AeonsLegend, 17 June 2018 - 06:35 AM. Thank you, this is great! You fixed my problems in cities (no stutter at all now!) and i experience much less stutter in fights. Any ideas to bring the fight-stutter down as well? I have a GTX 960M running on a laptop. No stuttering in Queen's Berth on a GTX 960M? 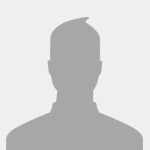 Anyone has similar workaround for a Mac Version? Same, worked fine on MAC, but after last patch game is unplayable. Frame rate is like at 10 with turning everything off. How do you guys keep making your game worse with time... frustrating as hell. Game is choppy and has lower fps if I don't use "-window-mode exclusive"
What if you have g-sync?tripple buffering still ON? Any news of an nvidia optimised driver for POE2 ? Cannot say for windows, but the last Nvidia beta driver 396.54 for Linux (that apparently fixed a memory leak issue present since 39x version) improved my framerate. FPS was droping to 10fps during the majority of the fights. It is now quite smooth, except on water (i7 + GTX660). I'd add my voice to say thank you! Crazy. All these posts with Nvidia issues and it is the Radeon card letting me down. The Nvidia ran POE smooth as butter. The AMD card is crap. But I can put my Macbook Pro to sleep and use clamshell mode with the AMD. The Nvidia would crashed my Mac. Ah, Apple. Yet another reason I hate thee.